Video purportedly by ISIS affiliate in Egypt calls for attacks during next month’s presidential elections. A video purportedly by the Islamic State’s affiliate in Egypt is calling on its fighters to stage attacks during next month’s presidential elections and warning Egyptians to stay away from polling centers, The Associated Press reported Monday. The 23-minute video was posted late Sunday on websites known to be sympathetic to the group. While it could not be independently verified, noted AP, it appeared similar to past releases by the group. 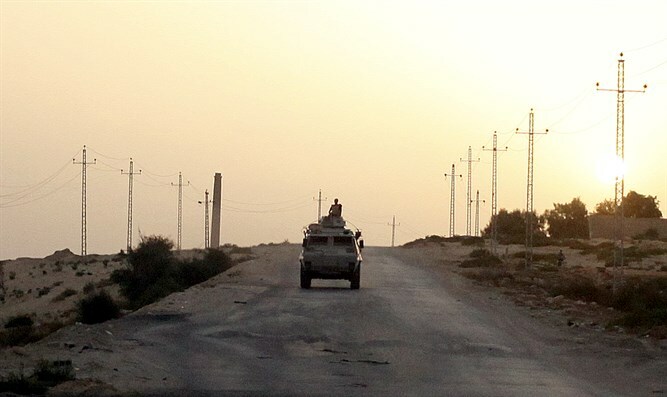 It makes a brief mention of an ongoing offensive by security forces against ISIS, suggesting it was made after the Egyptian military launched a massive campaign against the group on Friday. The video showed what appeared to be footage of past ISIS attacks in Sinai and the killings of unarmed off-duty soldiers or men suspected of collaborating with security forces. Last Friday, the Egyptian army announced the launch of a major operation against jihadists known as "Operation Sinai 2018". President Abdel Fattah Al-Sisi’s re-election is virtually assured, after most of the candidates who planned to challenge him dropped out of the race.